Titles: Mexican National Trios Championship (w/ Mephisto & Satánico), Mexican National Welterweight Championship, NWA World Middleweight Championship (2), CMLL World Tag Team Championship (2, w/ Mephisto), CMLL World Middleweight Championship, CMLL World Trios Championship (w/Mephisto & Ephesto), TNA 2008 World X Cup (W/ Volador Jr., Ultimo Guerrero & Rey Bucanero), AAA World Trios Championship (3, 1 w/ Cibernetico & Chessman, 1 w/ Chessman & Ricky Marvin and 1 w/Chessman & Súper Fly), WWA World Middleweight Championship, AAA World Tag Team Championship (w/ Chessman). 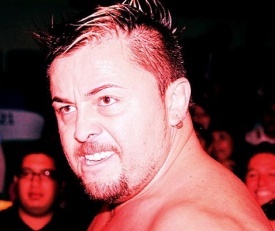 In the wake of the Infernales split, Averno established himself as a talented, young(er) rudo on CMLL's undercards. CMLL spotlighted him by giving him a title match versus el Hijo del Santo in 2004. While he lost the match, it established him as a competitive singles wrestler. Based off his performance versus Santo, Averno received a chance and won the vacant NWA World Middleweight Title in a match with Zumbido on 2004.09.03. In retrospect, he was likely scheduled to be a transitional champion from the start. Mistico beat Averno for the championship on January 1st, 2005 in Arena Coliseo DF. It was said by those there live to have been a fantastic match lasting 30-40 minutes (and one that was either not taped or has never been shown.) Since that day, Mistico and Averno have fought dozens of times, in trios matches and title rematches (most notably in Guadalajara.) Most of the matches end with Mistico locking on La Mistica in the center of the ring, but Averno's become known as someone who can push the near unbeatable Mistico and have an entertaining match with him. The Mistico feud also has Averno getting chances at many other titles, despite never actually being able to win them. Since leaving Satanico, Averno & Mephisto don't have a team name. They're sometimes just called "the Ex-Infernales", and a writer or two has tried naming them Scarios del Infierno/Assassins of Hell, but it hasn't really caught on. Averno is an associate of Guerreros del Infierno, but he and Mephisto have appeared to keep themselves as seperate from the group. Averno's previous identity as Rencor Latino is acknowledged - in a TV skit, it was Satanico's powers of evil that transfered him from Latino to Averno - and he's occasionally worn masks that are half Averno and half Rencor. Averno's father, Rodolfo Ruiz, is a CMLL referee, and it only rarely affects matches. Left CMLL and jumped to AAA to feud with longtime rival Myzteziz. Later became the newest member of los Hellbrothers. This page was last edited on 8 July 2018, at 14:25.